In order to support these possibilities, several additional amenities are added to Dedan. In addition to exports to external model checkers, the interface with Charlie Petri net analyzer is added for structural analysis. The export is in ANDL format (Abstract Net Description Language). Charlie. (n.d.). Charlie Petri net analyzer. URL: http://www-dssz.informatik.tu-cottbus.de/DSSZ/Software/Charlie. Daszczuk, W. B., & Zuberek, W. M. (2018). 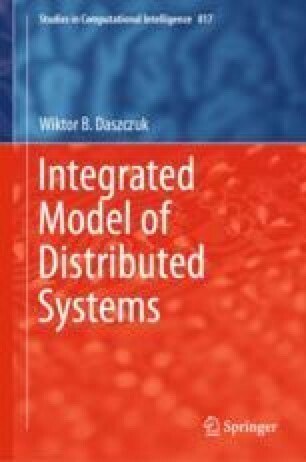 Deadlock detection in distributed systems using the IMDS formalism and petri nets. In W. Zamojski, J. Mazurkiewicz, J. Sugier, T. Walkowiak, & J. Kacprzyk (Eds. ), 12th International Conference on Dependability and Complex Systems, DepCoS-RELCOMEX 2017, Brunów, Poland. AISC (Vol. 582, pp. 118–130), July 2–6, 2017. Cham, Switzerland: Springer. https://doi.org/10.1007/978-3-319-59415-6_12. Heiner, M., Schwarick, M., & Wegener, J.-T. (2015). Charlie—An extensible Petri net analysis tool. In 36th International Conference, PETRI NETS 2015, Brussels, Belgium (pp. 200–211), June 21–26, 2015. Cham, Switzerland: Springer. https://doi.org/10.1007/978-3-319-19488-2_10. Latvala, T., Biere, A., Heljanko, K., Junttila, T. (2004). Simple bounded LTL model checking. In A. J. Hu & A. K. Martin (Eds. ), International Conference on Formal Methods in Computer-Aided Design, Austin, TX. LNCS 3312 (pp. 186–200), November 15–17, 2004. Berlin, Heidelberg: Springer. https://doi.org/10.1007/978-3-540-30494-4_14. López-Grao, J.-P., & Colom, J.-M. (2010). The resource allocation problem in software applications: A Petri net perspective. In S. Donatelli (Ed. ), RAPNeC-2010 Recent Advances in Petri Nets and Concurrency. Edition: Volume 827 of CEUR Workshop Proceedings (pp. 219–233). CEUR. URL: http://ceur-ws.org/Vol-827/19_Juan-PabloLopez-Grao_article.pdf. Schmid, H. A., & Best, E. (1978). A step towards a solution of the liveness problem in Petri nets. Newcastle upon Tyne. URL: http://www.cs.ncl.ac.uk/publications/trs/papers/114.pdf. Schwarick M. (2013). Marcie—An analysis tool for generalized stochastic petri nets. Cottbus. URL: http://www-dssz.informatik.tu-cottbus.de/publications/papers/MARCIE_manual_oct_2013.pdf. van der Aalst, W. M. P. (2000). Workflow verification: finding control-flow errors using petri-net-based techniques. In W. van der Aalst, J. Desel, & A. Oberweis (Eds. ), Business Process Management. LNCS, Vol.1806 (pp. 161–183). Berlin, Heidelberg: Springer. https://doi.org/10.1007/3-540-45594-9_11. Zuberek, W. M. (1999). Petri net models of process synchronization mechanisms. In SMC’99 IEEE International Conference on Systems, Man, and Cybernetics, Tokyo, Japan (Vol. 1, pp. 841–847), 12–15 Oct. 1999. Los Alamitos, CA: IEEE. https://doi.org/10.1109/icsmc.1999.814201. Zuberek, W. M. (2009). Siphon-based verification of component compatibility. In W. Zamojski (Ed. ), 2009 Fourth International Conference on Dependability of Computer Systems (DepCos-RELCOMEX’09), Brunów, Poland (pp. 123–132), 30 June-2 July 2009. Piscataway, NJ: IEEE. https://doi.org/10.1109/depcos-relcomex.2009.35.